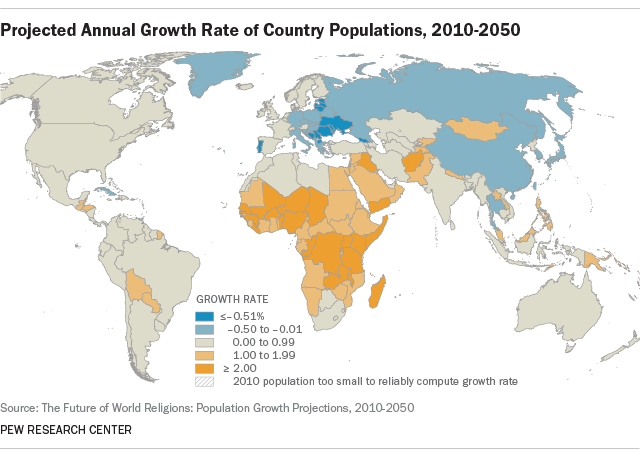 Islam is growing faster than any other religion, according to a study by the Pew Research Center. 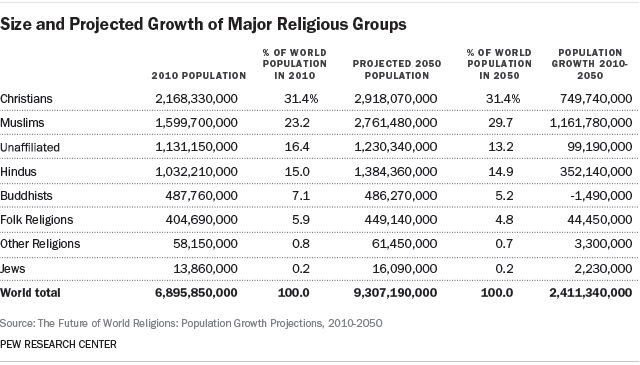 In fact, most of the world’s major religious groups are expected to rise in absolute numbers by 2050, the research finds, with Islam set to overtake Christianity and become the world’s dominant religion by 2070. 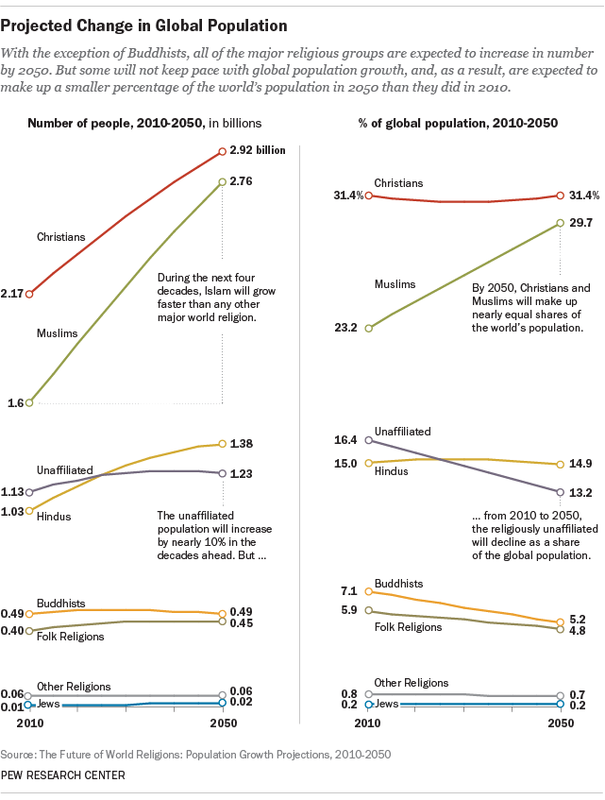 It must be noted that conversion patterns are complex and varied, so Pew has provided full details of its methodology and research, excluding conversion data. 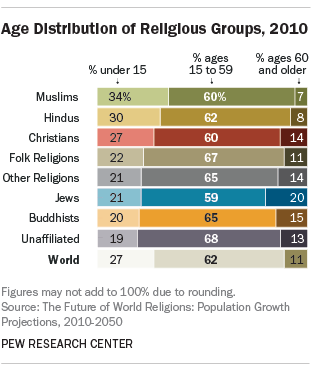 Pew has pointed out, however, that the research was conducted with current population data and assumptions made about demographic trends. This means many factors could alter the trajectories predicted in the report. 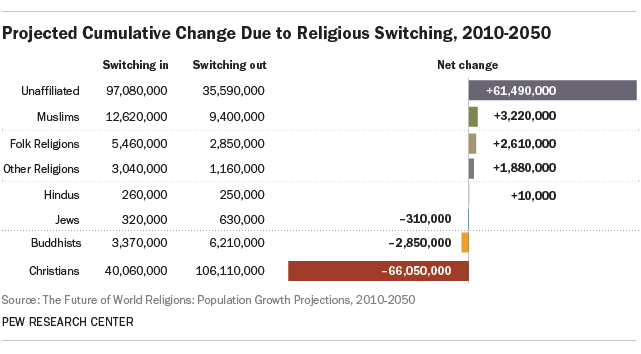 For example, if a large share of China’s population were to switch to Christianity, that shift could bolster Christianity’s current position as the world’s most populous religion.